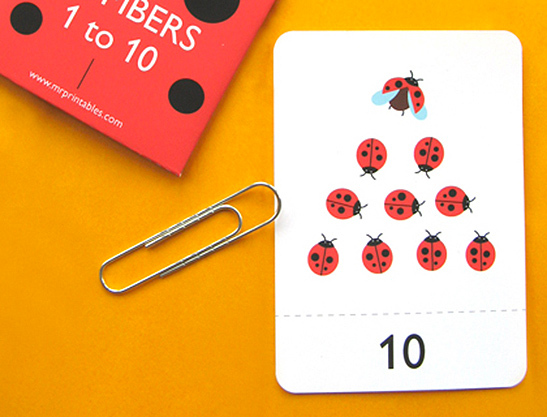 To help counting from 1-10 we’ve created these free ladybird printable number flash cards. 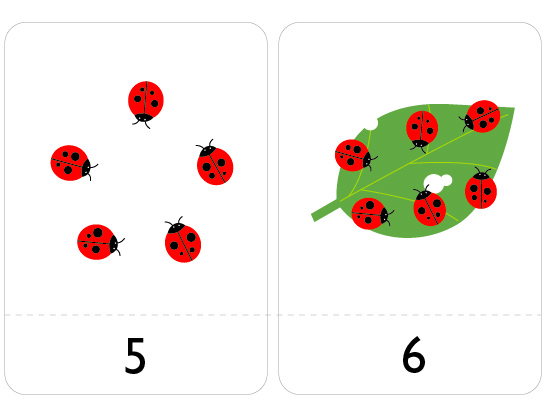 Each number has alongside a group of ladybirds to help associate the visual number with the written symbol. 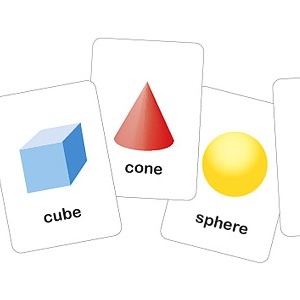 You can also use them to show simple math, so you may want to print more than one set. The PDF contains 3 pages with 10 cards and the last page has a template for a cute ladybird cards wallet to keep all your numbers together after play! 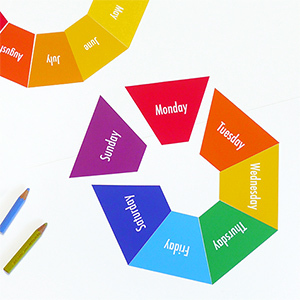 Try printing them on card stock papers as they feel nicer to handle and survive longer through repeated use. Cut them out with the scissors or knife (yes, they have rounded corners and you may ignore them if it’s fiddlely but we think they look better and feel friendlier to the little fingers.) 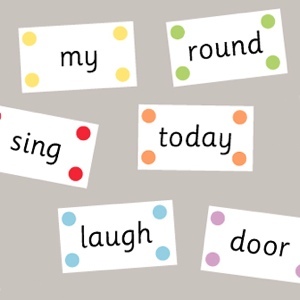 Print them as many times as you want – print them more if they are worn out or you want to decorate your girl’s or boy’s room with them, or you think it will make a nice present for someone.